The one thing which Apple isn’t so secretive about isn’t related to the latest iPhone or Mac but rather their autonomous driving technology effort. That is because of the Department of Motor Vehicle in California, which requires all companies testing out autonomous vehicles on public roads to report publicly their testing effort and results. One of the reports is the disengagement report. A disengagement report is basically the number of times a self-driving car hands over control back to a human safety driver. Usually, in cases like this, it means that the human driver may deem it safer for them to be in control rather than technology. From the report filed to the DMV which was reported by The Last Driver License Holder shows that Apple has fared the worse amongst all other players in that field. 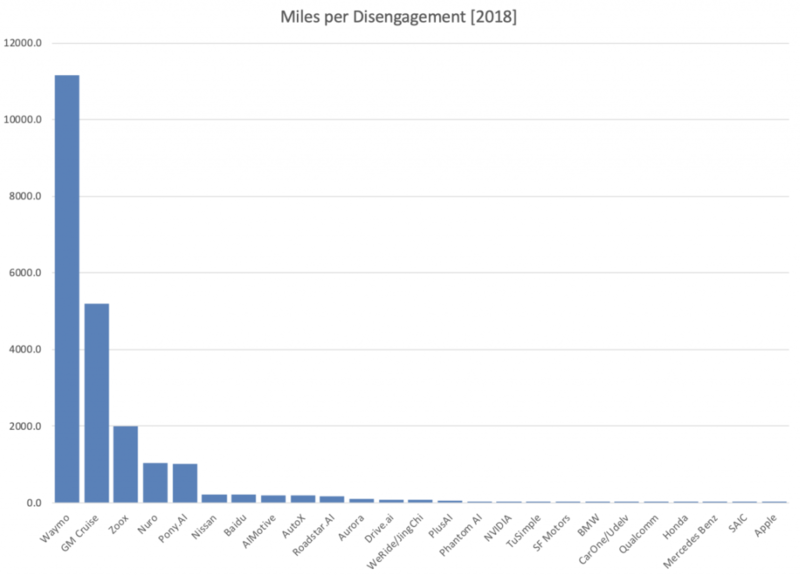 Out of a 1,000km, an Apple self-driving car would on average disengage 544.78 times. That is almost a disengagement every 2km. Compared to Waymo who leads this space, their cars disengages 0.06 for every 1,000km. Now we should note that every technology company may have different methods of interpreting what disengagement means and how they report it is entirely up to their discretion. Here is a look of the entire data for the companies who are testing autonomous cars in California below. It comes to no surprise that Apple is placed last as the company has had many issues with their program or so called Project Titan. Or perhaps Apple being Apple is still being secretive trying to show that their testings may provide the worst numbers but they have something hidden up their sleeves. Until then, it looks like Waymo will remain dominant in this field.